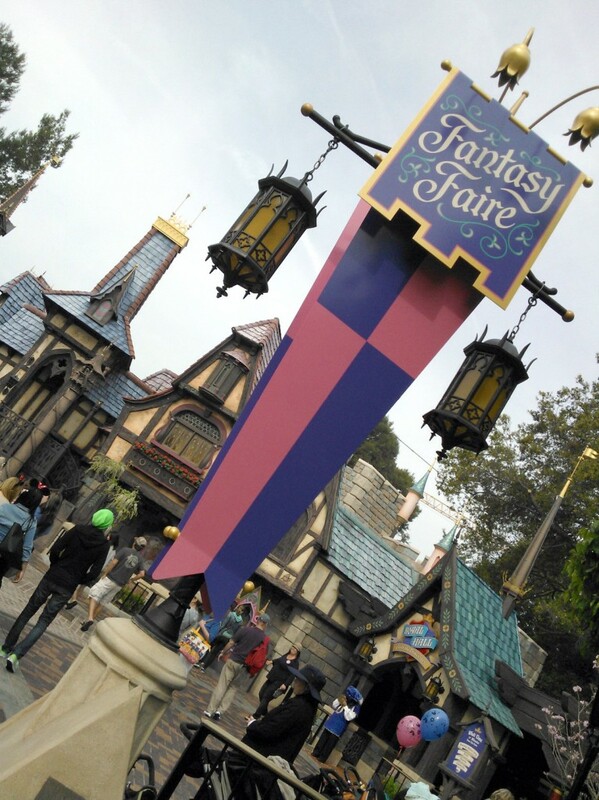 We recently visited the new Fantasy Faire expansion at Disneyland which opened just a short week ago. 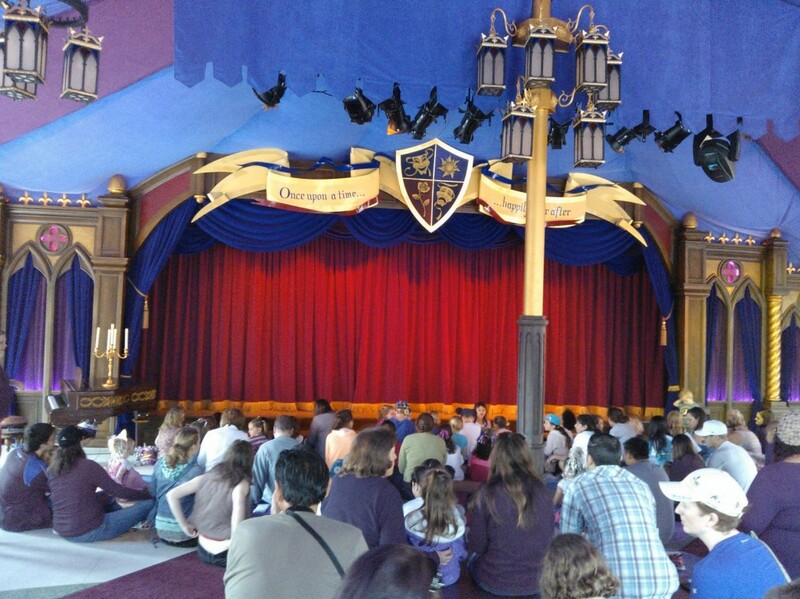 While it may be a very small addition it does serve a very large purpose which is a place to house all the princess meet and greets which have been normally scattered throughout the park or filling the Fantasyland Theater which is now going to be used for a whole new broadway style show opening early this summer. 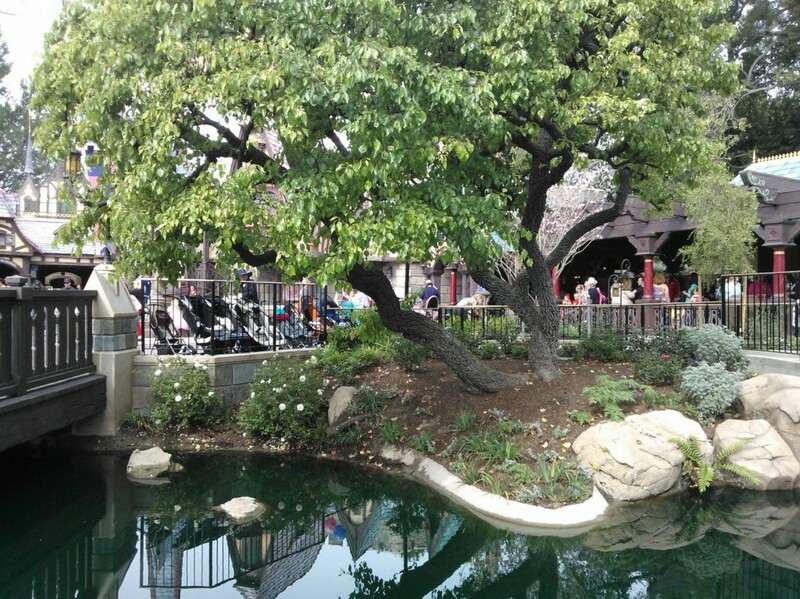 Nestled in a small corner of the park which went mostly unused for many years, Fantasy Faire takes the location of the former Carnation Plaza Garden, for a look at what this area used to look like, be sure to check out our farewell look to the area of the park in this article. 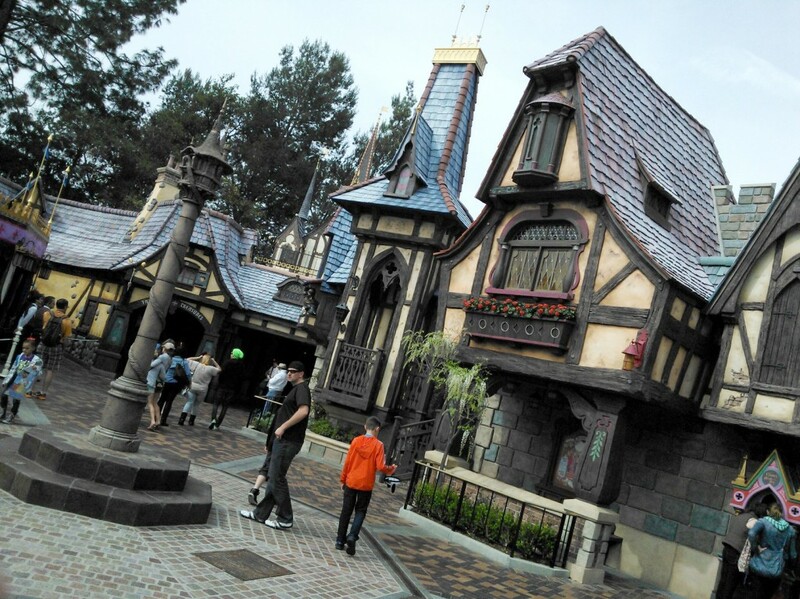 The themeing in this new area is really top notch, with many Renaissance era touches. 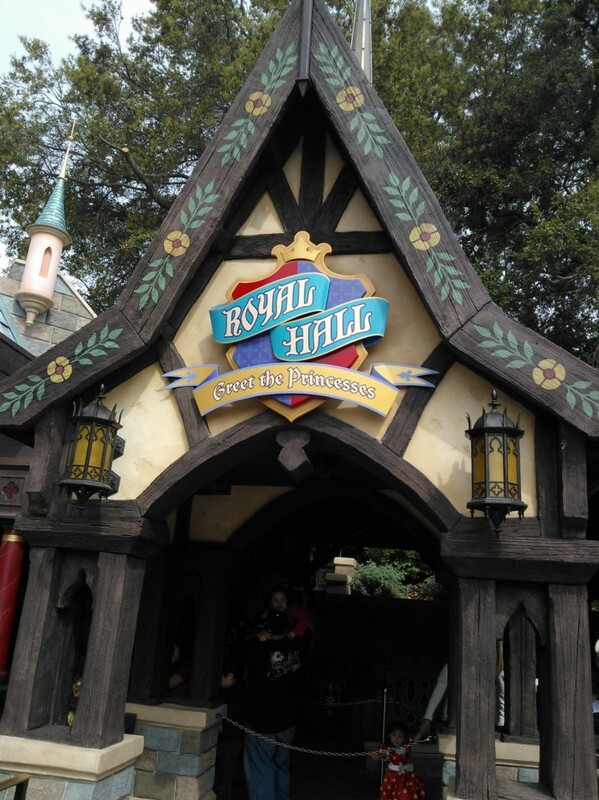 One of the two main attractions is the Royal Hall, a small and intimate meeting space with an ever rotating cast of Disney princesses. The queue for the Royal Hall is quite lush taking its cues from the former Carnation Garden Plaza. 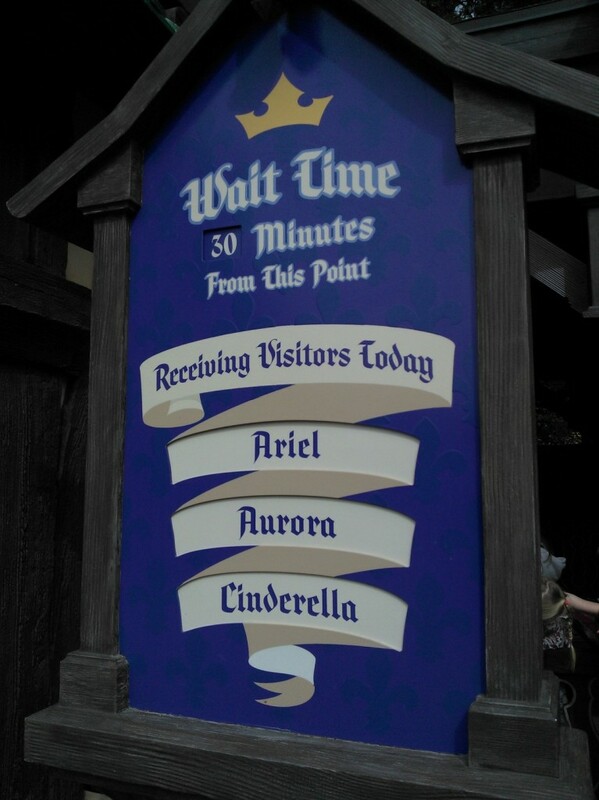 The wait to meet with each princess usually runs about an hour. 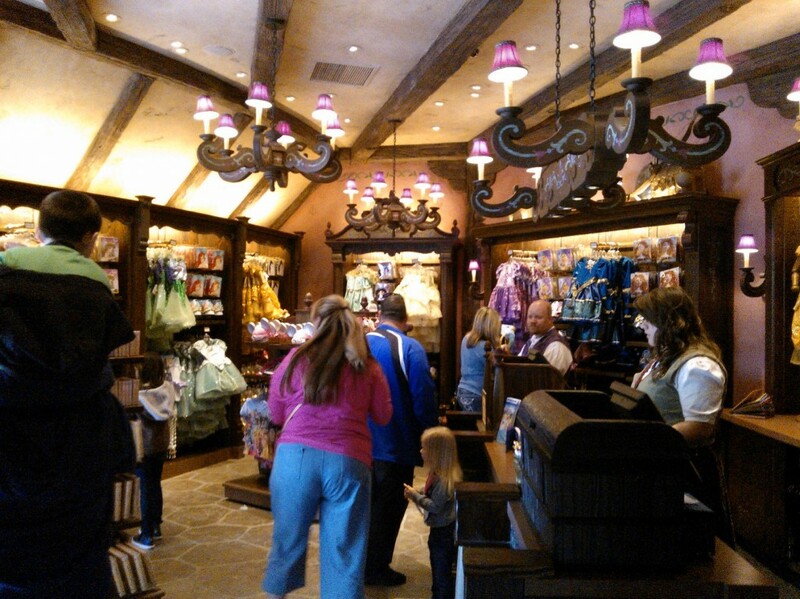 After taking this picture and wandering around for about 20 minutes the wait time was moved to 50 minutes (and this was 11am). 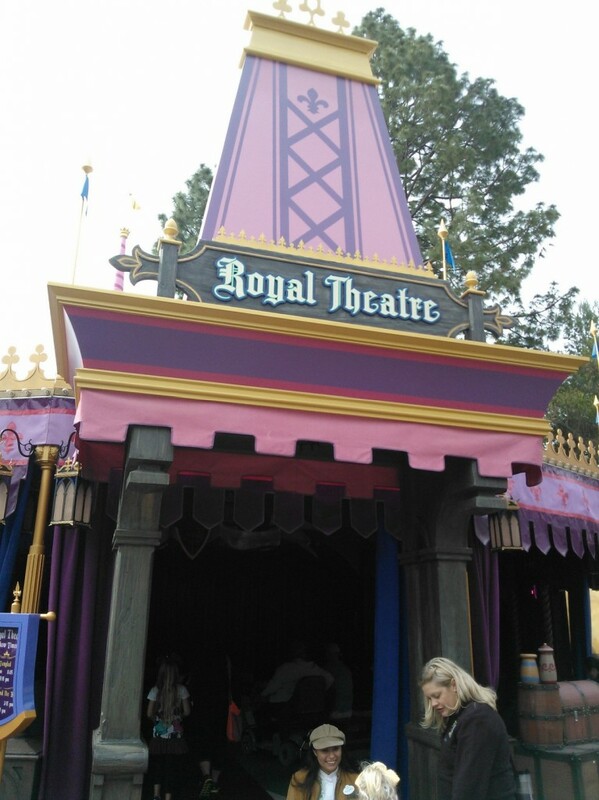 The other attraction bringing guests in flocks to Fantasy Faire is the all new Royal Theatre, which offers a unique look at some of Disney’s classic films. 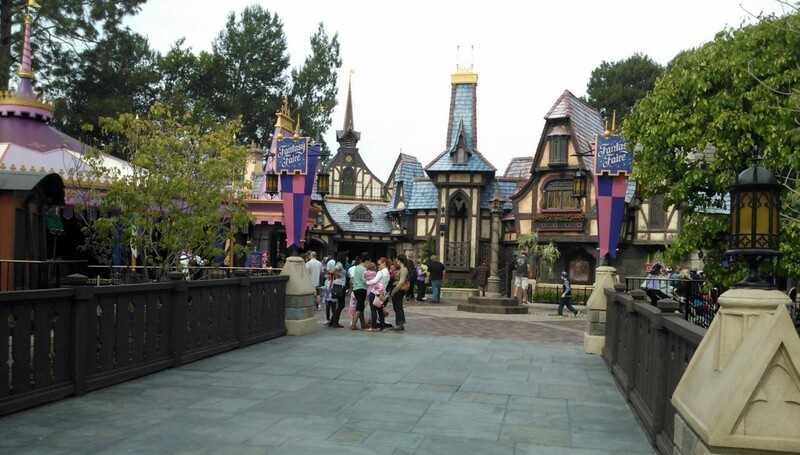 Each day a small cast of about 4-6 people recreate Disney movies with a bit of a Renaissance/Shakespearean flare, which is some of the best entertainment Disneyland has had since they debuted Aladdin at DCA over 10 years ago. Inside is also a nicely themed Renaissance venue. 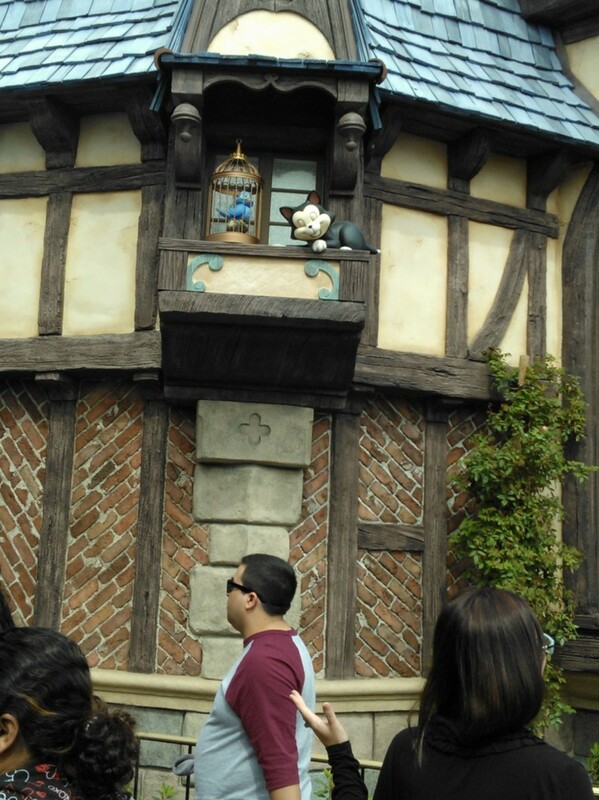 One cute Disney touch is an animatronic Figaro and bluebird, which has been placed up on a perch high above the Faire. 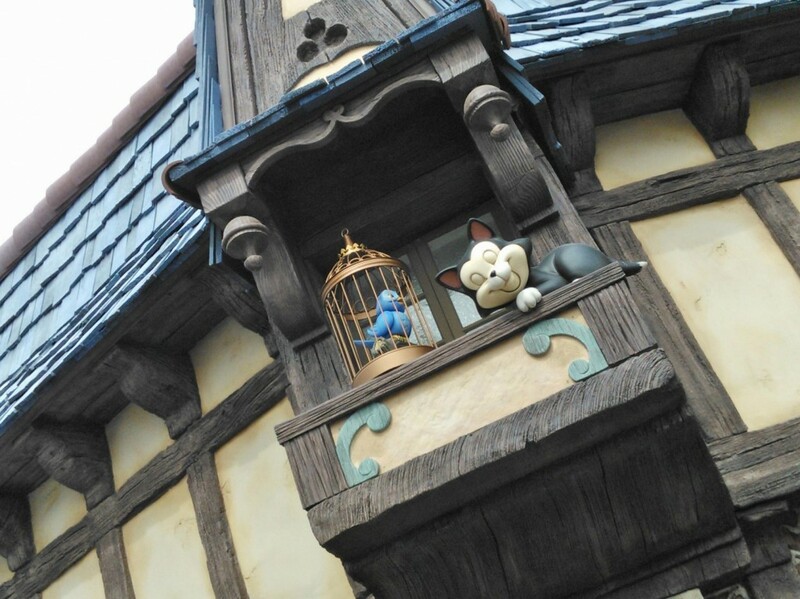 It’s not the greatest animatronic Disney has ever built due to the fact that it has to be weather resistant, this thing will work rain or shine, but it is very cute! 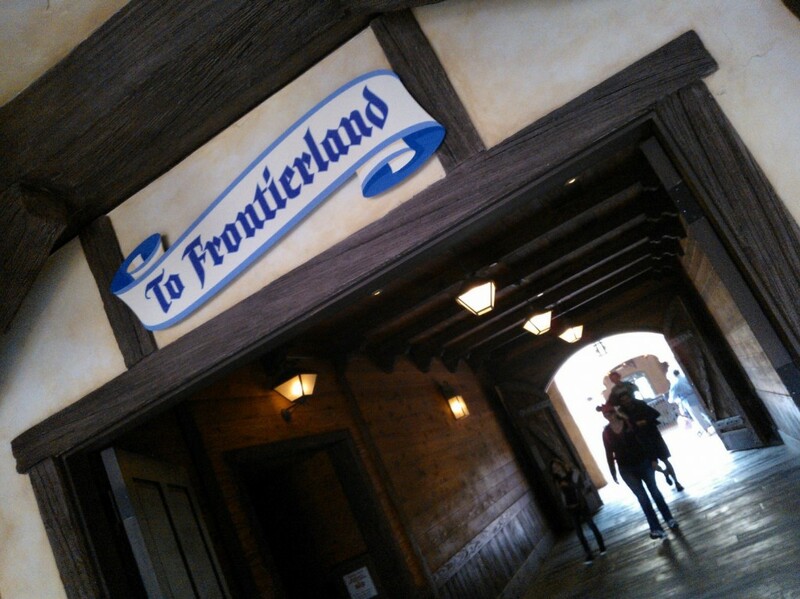 Now off to explore the rest of the park. Look for that update soon. 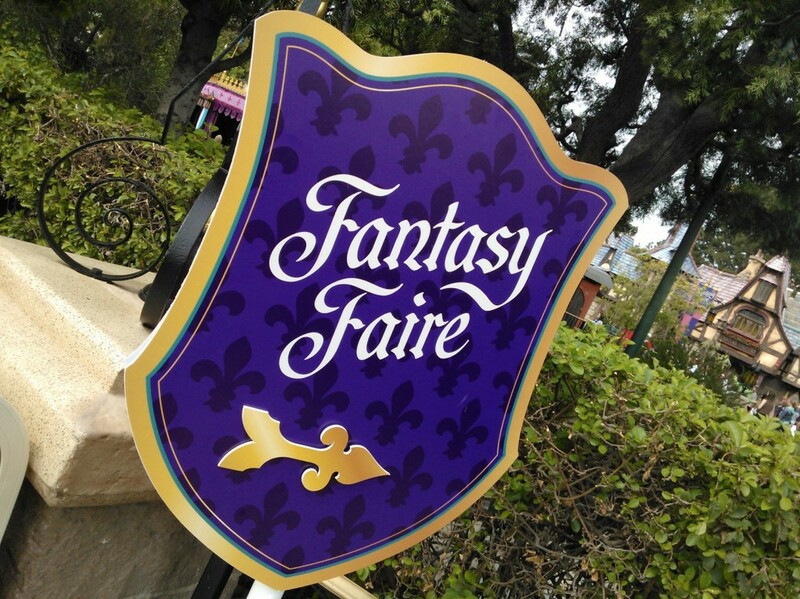 That is it for this look inside Disneyland’s Fantasy Faire, videos will be up shortly of the whole experience. It’s really worth checking out if you have not seen it yet. 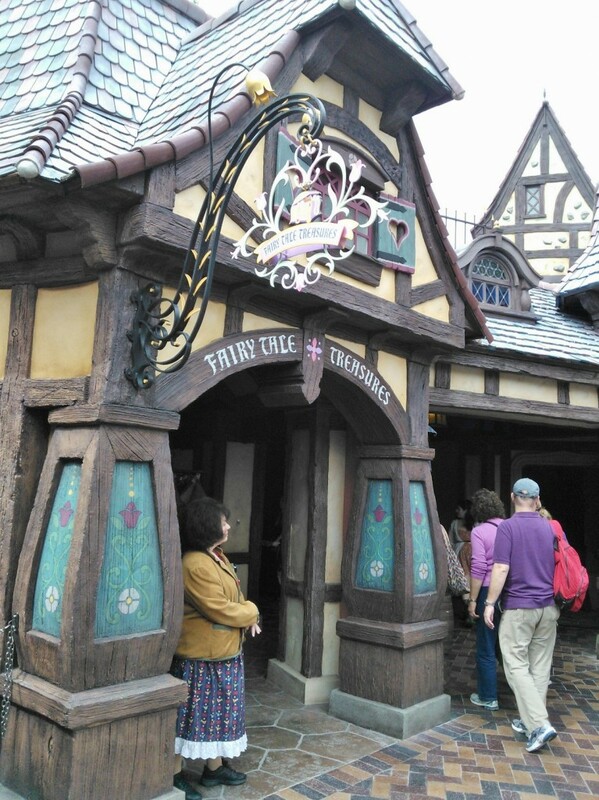 Princess Fairy Tale Hall gets a sneak peak for Disney Parks Blog treat up!